Laser pro – Our new pain free laser is concentrated light energy tackling the problem of hair at its root. Our system is specialized for efficient and gentle hair removal. The application of light damages the root of a hair and stops the hair from regrowing. SB introduces the world’s most advanced hair removal system for both men and women. The Light Sheer Diode Laser is a state-of-the-art system specifically designed to remove unwanted hair faster, with less discomfort and more reliability than other methods. Say goodbye to messy creams and temporary solutions! In an hour or less, you’ll begin to have smoother, sleeker skin. Book your COMPLIMENTARY consultation today! Spa Bellissima uses the finest of waxes to remove unwanted hair – a professional Lavender Cream wax that is gentle on the most sensitive of skins. It is infused with calming essence of lavender oil making it suitable for use on the face and full body because of its soothing and calming properties. This non-surgical face-lift is the ultimate treatment to fight aging. An immediate lifting effects is achieved through a patented for muscular stimulation. Helps for superficially dehydrated skin, exposes new skin for deeply “aging” skin and brightens complexion. 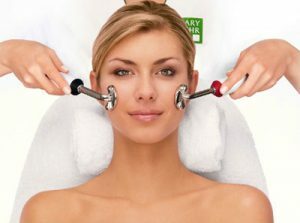 Spa Bellissima offers a wide choice of specialized facials using the advanced clinical products from Dr. Renaud. This treatment helps to heal cell damage and dehydration and restores balance to the skin. Products contain antibacterial anti-inflammatory that fights acne head on! To even out the complexion and brighten dull, lifeless, heterogeneous skin types, to attenuate brown spots related to phenomena such as skin aging. Decreases cutaneous hypersensitivity, maximizes the absorption of the numerous active ingredients, reinforces the capillary walls, reduces redness and its progression. Great facial that improves water circulation within the skin. Hollow areas are filled out and features are smoothed, wrinkles and fine lines are reduced. Skin becomes more resistant to environmental stress. Experience immediate results of healthy, hydrated skin with the newest technology in non-laser resurfacing with no down time required. Vortex Fusion Technology uses different spiral tips to extract impurities and infuse antioxidant rich products in one sweeping motion, with no squeezing, red marks or irritations involved! It treats sun damage, hyperpigmentation, dehydration, fine lines/wrinkles, uneven tones and congested/enlarged pores. It’s like having 5 facials in one. 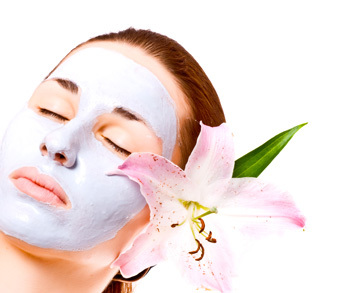 This facial is beneficial for normal, oily or dry skin types. A wonderful foot treatment which includes a foot soak, nails trimmed, cuticle work, foot exfoliation and callus treatment, relaxing foot and calf massage. Includes an exfoliation with a relaxing massage, followed by a conditioning mask treatment. The hands are encased in warm gloves and the feet are encased in warm booties to complete the treatment. Our Signature Manicures and Pedicures are a whole experience of the senses and relaxation treatment for not only your hands and feet but your body as well. Our Indian head message sessions last 30 minutes or 45 minutes. The Indian head message routine typically begins with the shoulder girdle, the arms, up the neck to the scalp, and finally the face and ears. When the massage is complete, many clients report feeling as if they just received a full-body massage. A safe and effective way to help your body detoxify naturally. Ionizer functions as a magnet that helps your body to detoxify by attracting particles and trapping them in a charged bath of water. Spa Bellissima can provide you with an aromatherapy massages designed to relax and de-stress your body. We use aromatherapy massage oils to help you relax and enjoy your massage. When massaged in, it helps stimulate blood micro-circulation, detoxify and re-mineralize the skin. Spa Exfoliating provides a unique soft and supple feeling. New and exclusive technology that dramatically improves the appearance of your silhouette by effectively reducing cellulite, while slimming and firming the body. For series, best results are achieved with 2-3 treatments per week. Maintenance treatments one per month. Spa Bellissima is proud to have Dr. Blair MD, who has practiced medicine with a special interest in women’s health for the past 18 years. She has an extremely high level of dedication to her work and it gives her great satisfaction to be able to bring pleasing results to her clients with the latest in cosmetic injections. Jerina Jorgoni is a Registered Nurse working at Toronto General Hospital and has been in the Peter Munk Cardiac Center since 2007. Jerina has been certified in L.A. as a clinical nurse injector. Jerina brings with her 9 years of experience, which includes cosmetic nursing, and clinical expertise. Works by relaxing the muscles that cause dramatic wrinkles by giving the face a more relaxed and refreshed appearance. Botox is a purified protein toxin made by bacteria, it’s safe because it is used in extremely small quantities and it doesn’t spread throughout the body. Botox lasts anywhere from 4-6 months. Hyperhydrosis: Botox can also be used to treat excessive underarm perspiration and is covered by some insurance companies for this purpose. Juvederm is a protein like substances which are injected at the bottom of wrinkles, scars or in areas where the body’s own natural collagen has worn away due to aging. They last on average anywhere from 4-12 months. Laser Pro – Our new pain free laser is concentrated light energy tackling the problem of hair at its root. Our system is specialized for efficient and gentle hair removal. The application of light damages the root of hair and stops the hair from regrowing. Vasculyse offers a safe non-invasive system designed to electrocoagulate vascular blemishes such as skin tags, ruby points, spider angiomas and telangiectasia. Telangiectasia occurs when minute blood capillaries are permanently dilated, producing tiny little red lines visible at the surface of the skin. It is a condition that develops as we age, usually appearing in the mid-40’s, sometimes earlier on those with fair skin. Extreme cold weather and excessive exposure to the sun are the most recognized causes. During the treatment, a probe simply touches the skin surface, following the dilated capillary. Vascular Blemishes disappear on contact. Most other conditions are successfully treated in one or a few sessions are needed for optimum results, with minimal skin reaction. The damaged vessels are coagulated. In time, new healthy capillaries will regenerate, cell nutrition will resume, and the appearance of the skin greatly improves. PRP therapy for hair loss is a treatment that involves withdrawing a patient’s own blood, processing it so that only the enriched platelet-rich plasma remain, and injecting it into the scalp using thin needles. PRP contains essential proteins that stimulate natural hair growth. PRP or Platelet Rich Plasma Injection Treatment is a new cosmetic therapy that helps to restore the look and feel of young hands. Using the patient’s own blood, withdrawn same as a lab blood test, concentrated platelets containing growth factors are isolated from the blood and injected into the problem areas. This platelet rich plasma (PRP) is used to stimulate the body’s natural processes to repair and restore its cells and tissues, and leads to collagen renewal in the area. Epigenetics is the science of liberation, giving you control and helping you better understand how to create an environment for an optimal physical, mental, and emotional wellness and performance. Everyday your body is repairing the damage caused by daily life; the foods you eat, pollution, infections you are exposed to, and the stress of your daily routine. Your environment influences your genes to produce new cells and repair your tissues and organs. If your environment is stopping your genes from expressing in the best way, then they produce cells that may not effectively repair and renew your body. Once this happens, the body systems lose efficiency and you begin to notice signs of breakdown. The key to unlocking your genetic potential lies in the foods you eat. Hair is a soft tissue of the body. Minerals deposited in the hair when it is formed, remains locked within the hair structure. The average level of minerals is about 10 times as high in the hair as in the blood. This makes minerals easier to measure accurately in the hair. A hair analysis will determine your unique physiology and determines your unique food intake designed to compliment your needs and to help your genes to express in an optimal way.